Since Memorial Day is the unofficial start of summer, I guess you can say that summer is here. That means I'm trying to buy clothes that can get me through the heat of a desert summer. One style for me that always gets me through the summer is a simple sundress. My wardrobe is filled with simple casual dresses. 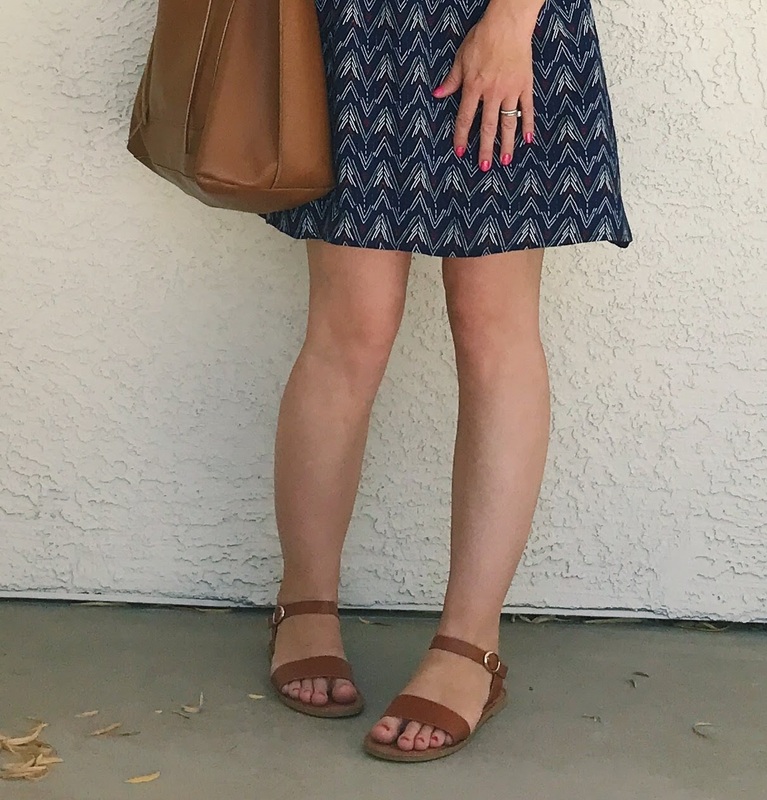 This dress that I'm sharing today is from ThredUP, of course! It's a H&M dress that was only $7.99. The dress was brand new with the tags on it still! I love the pattern on this dress. I'm trying to force myself to try out different patterns, besides stripes when I have the chance. A dress like this is easy to style. All you need to do is throw on some jewelry and some sandals and you are ready to go! I wore my new Madden Girl sandals that I found at Burlington Coat Factory for only $9.99! They are my everyday go to sandals for this summer.